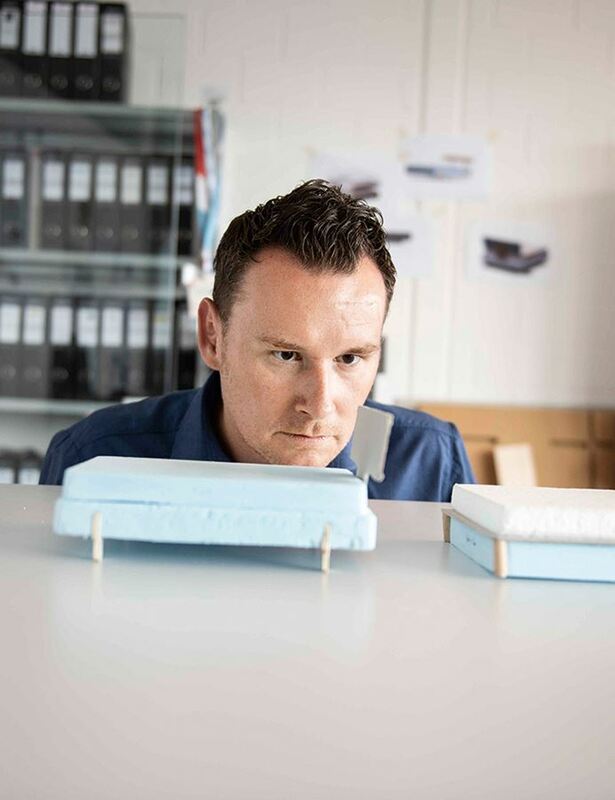 “Design the new box spring bed collection for BICO.” With this remit, the industrial designer Björn Ischi set about creating a unique Swiss item. as he calls the true-to-scale models. Even in this early phase, he brings the hand-picked Swiss component partners to BICO’s table. 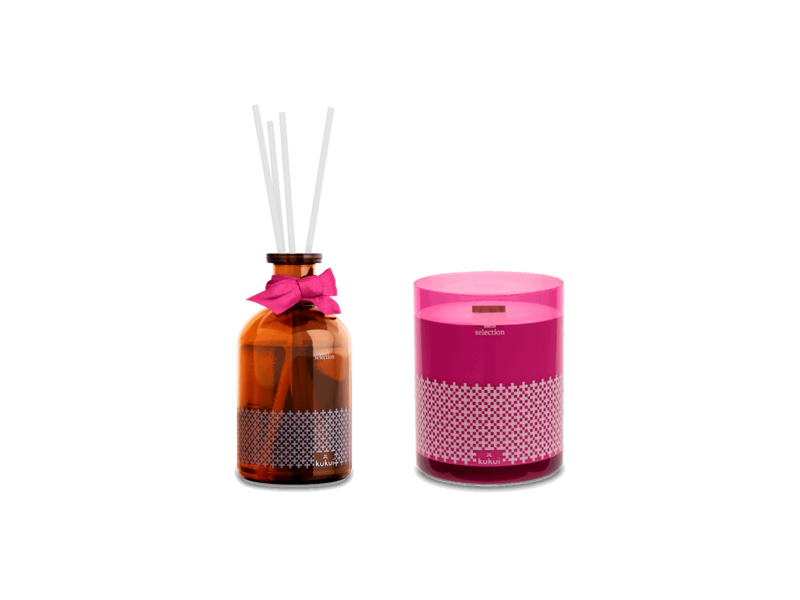 Together they optimise the aesthetics, the fascination with the material and the functionality. Right from the start, the box spring bed is tailored for customer added value. Which materials provide a sense of well-being? What makes assembly easier? 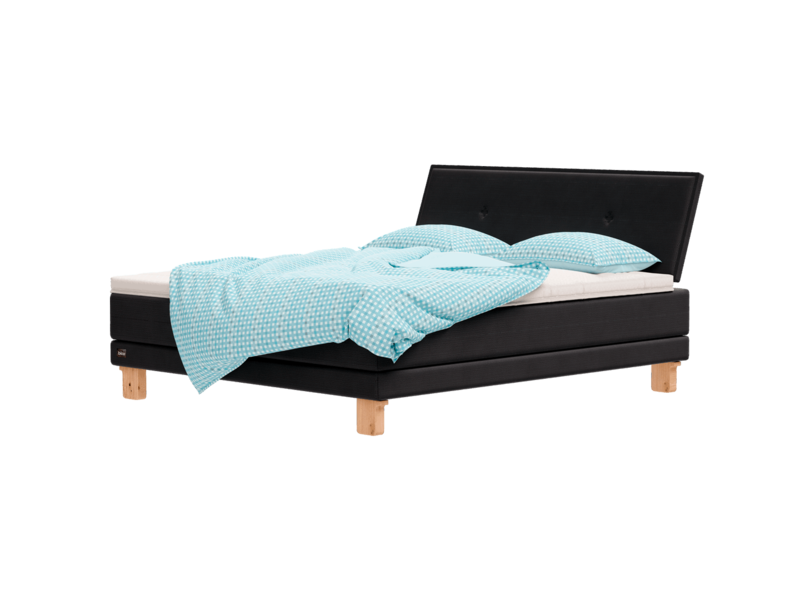 What makes the box spring bed typically Swiss? What about sustainability? 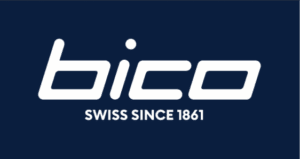 BICO, Ischi and the project partners find the right answers to these questions. You want to get a “Wow! Somebody’s thinking about something!” out of the customers. 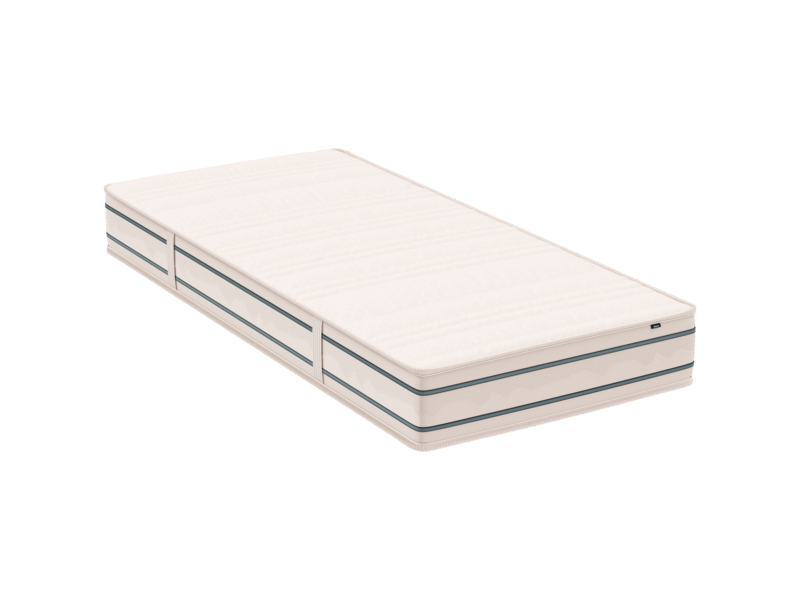 The BICO box spring bed should be immediately recognizable next to various other brands and should be rated by the viewer as particularly valuable and successful. 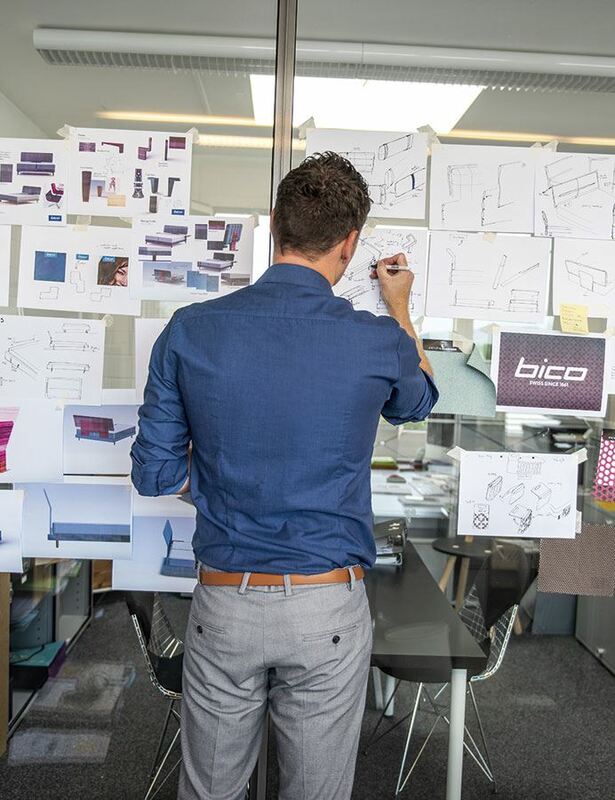 The multiple award winner shows how much passion he put into the eight months that passed from the first draft to the first delivery of the BICO box spring bed. As is so often the case, it is the details that are particularly pleasing. 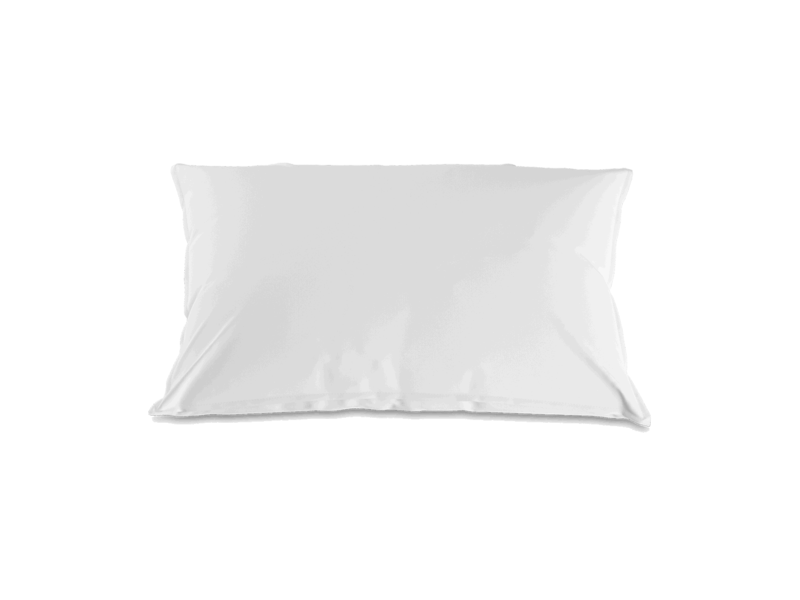 For Ischi, these include the Swiss virgin sheep’s wool pressed onto the headboard and the BICO logo on a Swiss slate board. 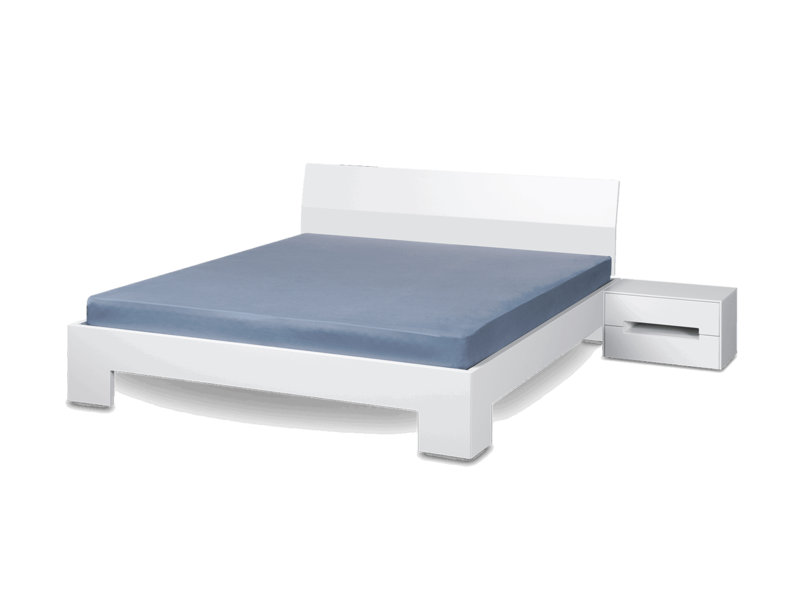 “For me, BICO’s box spring bed, perfected in the sleep laboratory, is also aesthetically pleasing – Swiss simplicity without kitsch, but with the finest materials, in keeping with Swiss tradition. 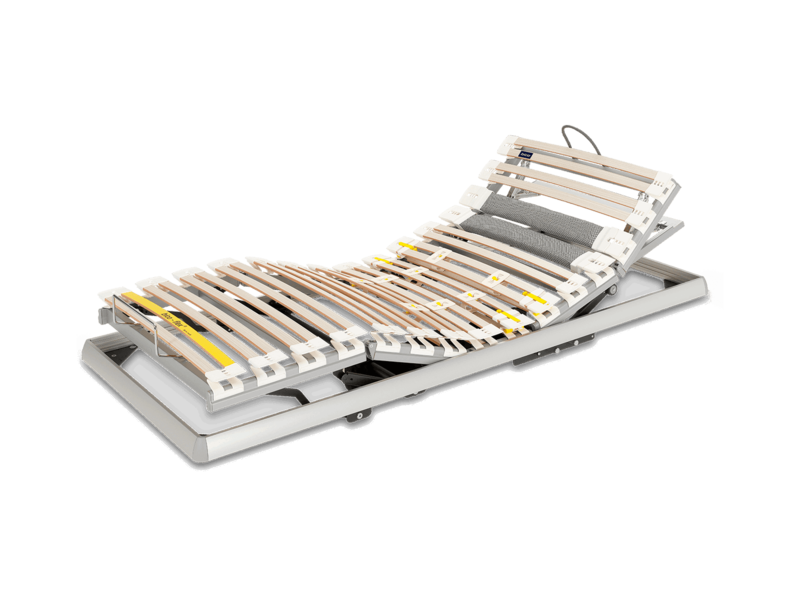 BICO customers will feel secure in their box spring bed,” affirms Ischi.